Presentation of the game, explanation of weapons and missions. The competition is heating up, and we are at war privates! 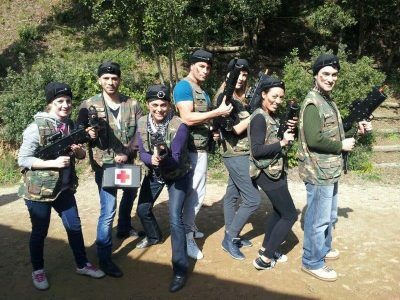 It is time to suit up, grab those weapons and unleash your fury on the opposing team, Laser Combat is here! If you and the group are looking for an activity that involves strategy, tactics and the art of combat then look no further, we have the perfect activity for you. You will Arrive in the woods, walk through the front line and get ready for combat, laser style! 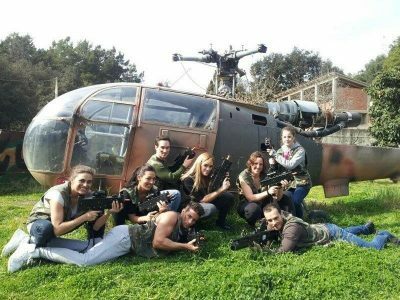 The activity is a modern twist on paintball, with more tactics and less mess, and is must for adrenaline junkies. Once you have been walked through the presentation of the game, you will be split in to teams and get ready to start the games. With all of the equipment arranged for you, you can get on with perfecting the perfect strategy to beat your opponents. If you would like to add transfers to and from the activity, just let your party planner know. 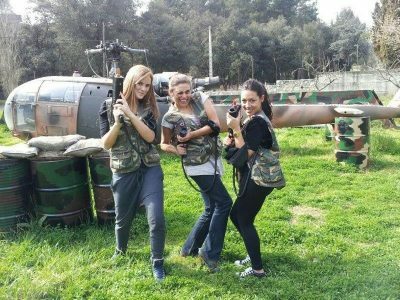 There are lots of extra activities that can be added to the experience to make a full day out, including quad biking and more and even lunch to make peace between the victors and the vanquished, if you would like more information just ask your party planner.